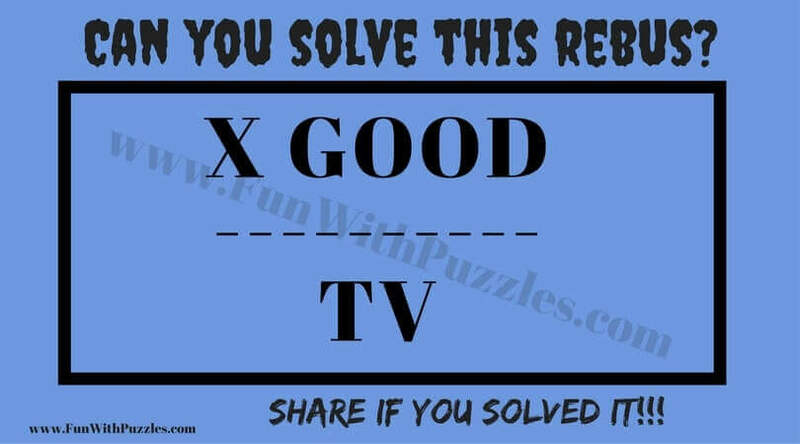 Rebus Puzzles are word puzzles in which your challenge is to find the hidden meaning of the given picture puzzle images. Here are some of the Rebus puzzles in which your challenge is to find hidden meanings of these images. 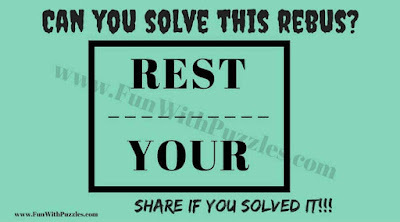 Answers of these hidden meaning picture puzzles are given at the end. 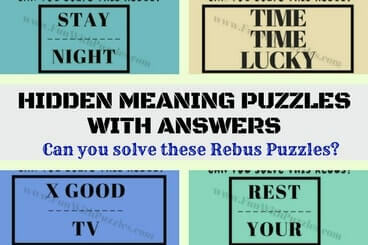 Let us see how many of these hidden meaning puzzles you can solve without looking at the answers. 1. 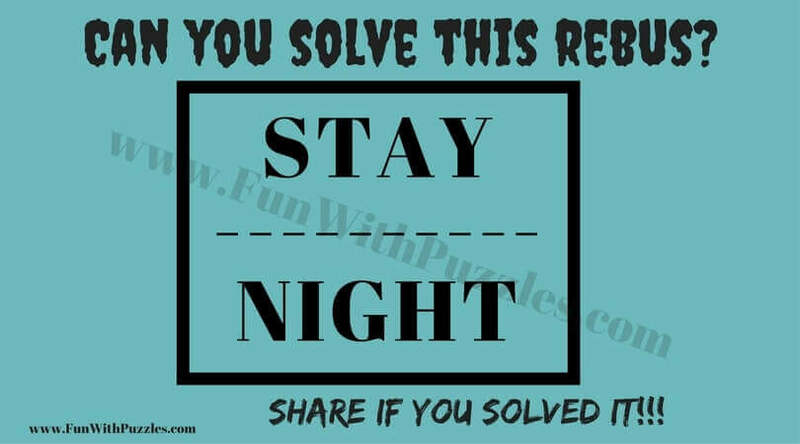 Can you find the hidden meaning of this Rebus puzzle? 2. 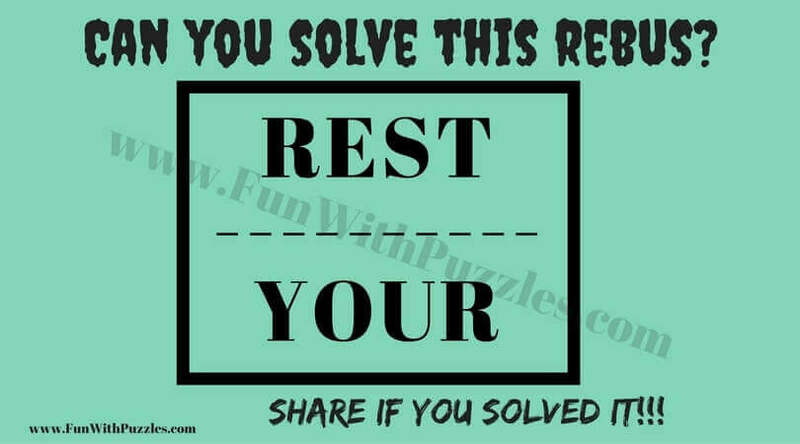 Can you find the hidden meaning of this puzzle? 3. 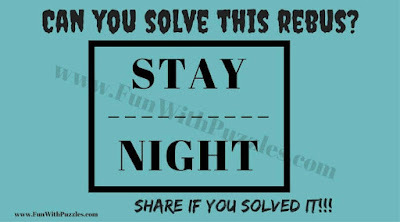 Can you solve this Rebus Puzzle to find hidden meaning? 4. 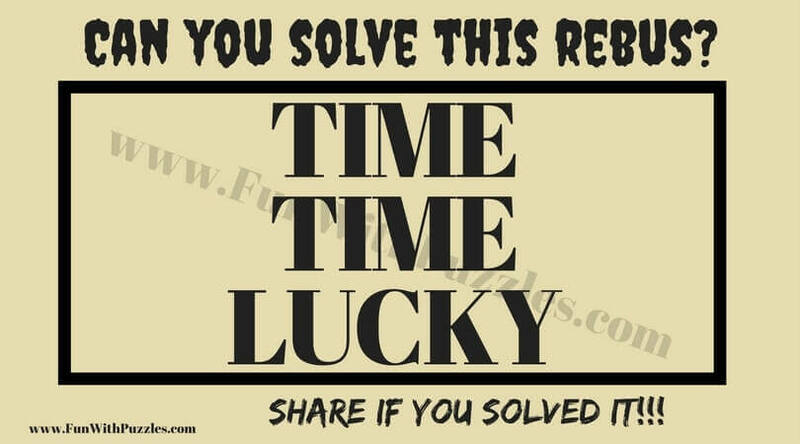 Can you solve this hidden meaning riddle? 5. 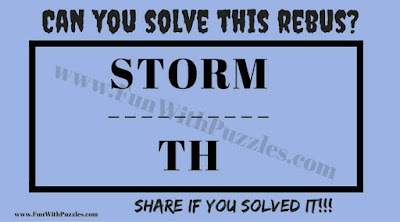 Can you solve this hidden meaning word brain teaser?